forever logged on. : I'm bald + ebay sales! I'm bald + ebay sales! If you guys haven't been updated on my Twitter or Youtube I'm bald, well I was. A few weeks ago I got this random impulse to cut my hair, I had been thinking about it for months and finally did it. I go much more into depth in my youtube video and I also show myself cutting my hair. It was scary and freeing, please watch! This means I'm back on youtube and I'll be uploading regularly, for real this time, so if you're not subscribed I definitely recommend doing that. I plan to turn my youtube into another version of my blog, nowadays you seem to reach more people through video. 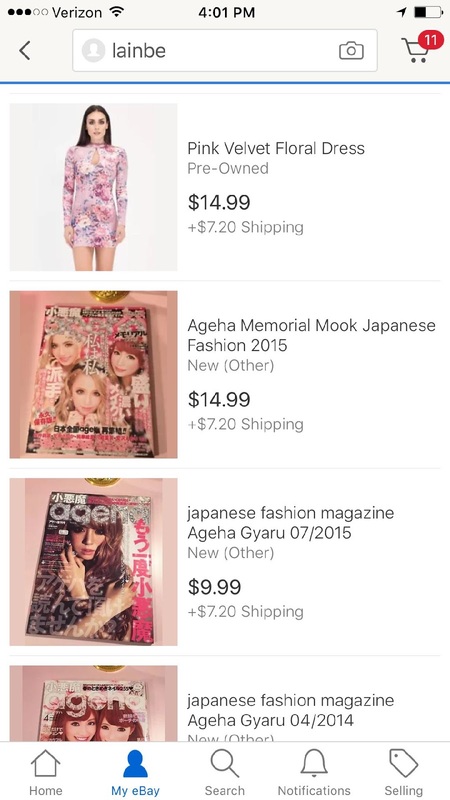 Also I'm selling some things on my Ebay, mostly Gyaru magazines and clothes. If you're interested please take a look!